The Vollrath 77250 Super Pan V® solid steam pan cover is made of stainless steel, which resists corrosion, scratches, and dents. It fits full-size pans and is lifted by a sturdy handle at its center. Fortified edges strengthen its structure. 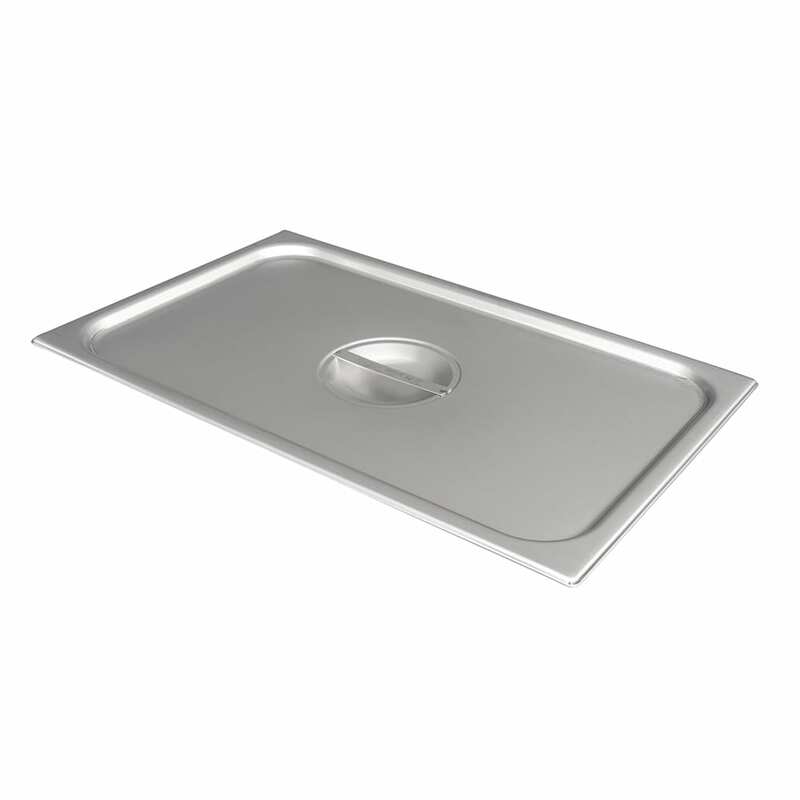 Check out the food pan lids article to learn more about different types of lids.